You are here: Home » Is Marquette a top-20 program? 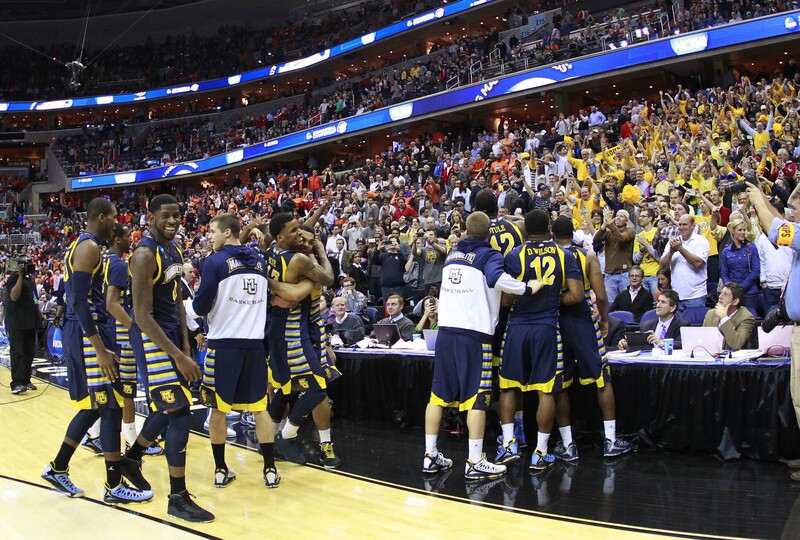 Is Marquette a top-20 program? No. At least not according to Sports illustrated’s Andy Glockner. Before anyone gets in a tizzy about this perceived lack of respect and starts bombarding Glockner on Twitter (@AndyGlockner in case you were interested) he did have Marquette as one of the final cuts along with Maryland. So that means at worst he believes Marquette is a top-22 program. What’s the fun in being amicable and understanding though. You came here for fireworks so I’m obliged to deliver some. A tough omission from the top 20 given the program’s history, strong current run of performance, excellent coach, strong attendance and no football to water down the commitment to hoops. The move from the Big East to, well, the Big East is an interesting flex point for the program, as is whether they can keep Buzz Williams long-term. The new Big East basketball schools will be cutting larger checks, but the league’s not as good or noteworthy as the old version and it’s yet to be seen whether being on Fox rather than ESPN will have a negative impact (as being on other channels did for the Mountain West and others in the past decade). If Williams gets poached, can they find another coach of that caliber to keep things rolling? Right off the bat you can tell the biggest beef Glockner has with Marquette is that the “new” Big East won’t be as good. This is a recurring theme with analysts across the country and one that can’t be shaken no matter how much data you provide. Statistically, the reconfigured Big East has been above or at the level of the SEC and Big-12 and much superior to the PAC-12 the past four years. This isn’t a biased opinion, mind you, it’s just the facts as laid out here. For real though, click it to see all the charts. Obviously, the league will have to prove its worth on the court this and upcoming seasons as this is the only way to convince folks. There might not be a national title contender every year, which is a legitimate gripe against any league wanting to be regarded as elite, but the depth of good to very good teams will make up for that. Recruiting in the “new” Big East has also been questioned with teams like Syracuse and Louisville no longer on the schedule, but the results so far show that recruiting may actually get better. No, really, this is not an exaggeration. Seton Hall hadn’t landed a 5-star prospect since the year 2000 but now they have Isaiah Whitehead out of New York commited for next season. They are currently No. 4 overall in the country in the composite recruiting rankings according to 247 Sports. Granted, there are some big fish yet to be reeled in, but at the moment, there are five Big East teams in the top 20 of those rankings. Finally, this personally irks me to no end because most writers have described it as the Big East leaving Syracuse, Louisville, Pitt and Notre Dame when that’s not the case. It’s not even close. Those schools left of their own accord to the ACC. The Big East did not leave them. The conference the Catholic 7 left consisted of UConn, Memphis and the best of the worst. They didn’t leave one of the greatest conferences of all time. They left a patch-work league that had trips to Tulsa, Tulane and East Carolina on the agenda. Also, the league didn’t leave the conference that would reportedly have been paid $2.3 million by ESPN, they left one that would only garner them $1.5 million. Compare both of those numbers to the reported $4 million teams are getting fro FOX Sports and it makes the departure much more sensible. Yes, it’s an unproven network that won’t get even close to the ratings ESPN gets this or upcoming years, but it is a national brand that is fully committed to only one league as opposed to the Worldwide Leader, which would have had a majority of the games on ESPNU and ESPN3 anyways. It’s a risk, yes, but one which has tremendous upside. Glockner’s second big beef is with the uncertainty of Buzz Williams leaving Marquette, specifically for Texas. Buzz to (insert school here) has been a talking point since 2010 and a legitimate concern since 2011. Before Texas there was Buzz to Oklahoma, Texas Tech, Arkansas, Texas A&M, Illinois, SMU, UCLA, USC and even Minnesota. Every single one of those fan bases for the schools listed believed Buzz would be foolish to turn them down. The links to the schools above aren’t to message boards, where the crazies are truly crazy, but respected outlets or reporters. Buzz has been approached publicly by Oklahoma and SMU, yet here he is, talking to Paint Touches as head of Marquette’s program. Now does that mean he will “stay as long as Marquette would have him” as he told reporters in 2011? Not at all. Circumstances change and Williams is only responsible for the wellbeing of himself and his family. He may leave in one year, he may leave in twenty years. Heck, he could even pull an Al and retire in the not to distant future. No one knows, not even Buzz. What is known is that this is a snapshot of the top-20 teams in the country RIGHT NOW. Not next year and not in the future. As it stands, the uncertainty of Buzz’ tenure has been way overstated. His recruiting has improved every year along with the results on the court. If we truly are measuring top-20 programs there is no conceivable way Marquette misses out. 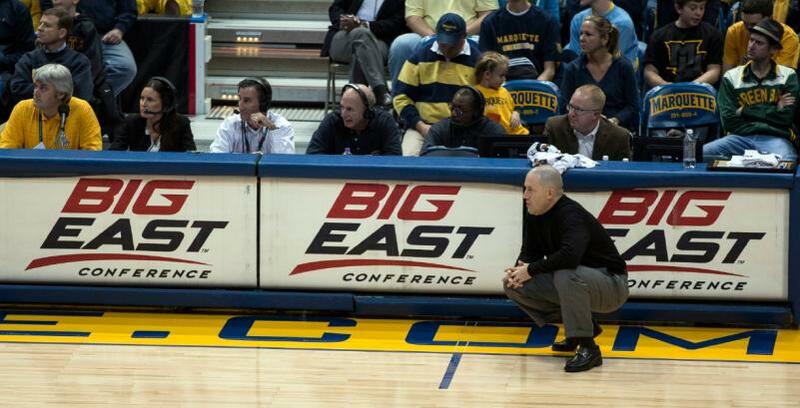 Buzz Williams coaches in Milwaukee, not Austin, no matter how much the media wishes it were otherwise. If that isn’t convincing enough, let’s use the criteria Glockner used to complie the list. Do you have a history of success? Yes, both recent and past. 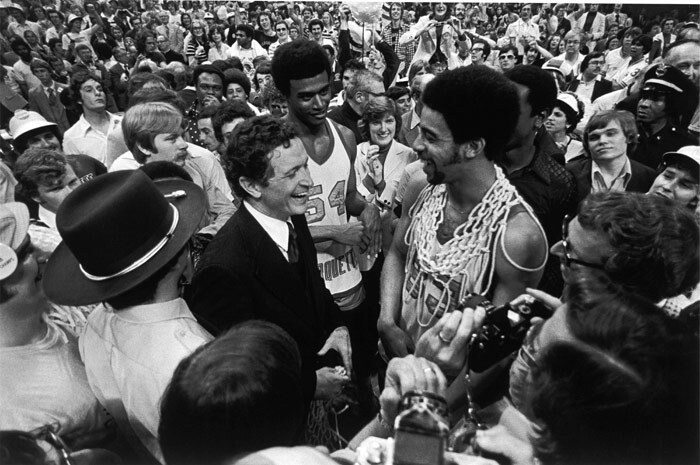 Al McGuire is Marquette and he led the Warriors to a National Title and a consistent top-5 ranking in the late 60’s and most of the 70’s. 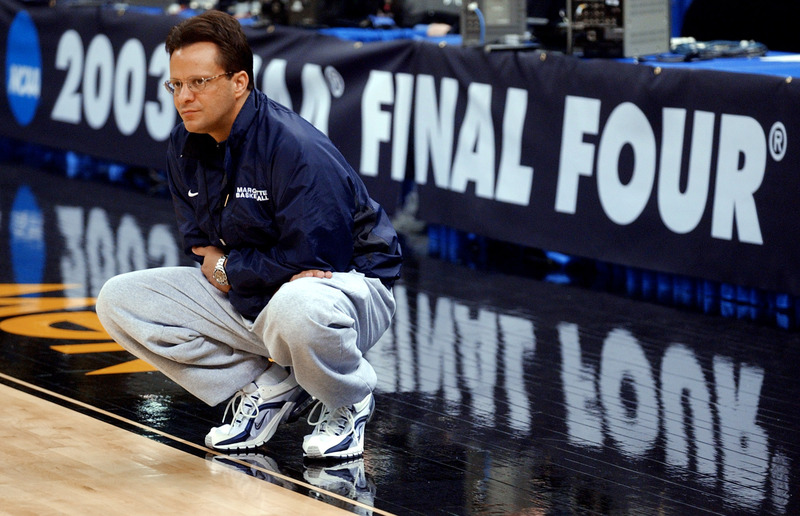 After a dip in the 80’s and late 90’s Tom Crean (with a hat tip to coach Kevin O’Neill) brought Maruqette back to the spotlight behind Dwyane Wade and a Final Four run. ESPN.com had Marquette as the 17th best program of the last 50 years. How is the program doing currently? Marquette has made eight straight NCAA Tourneys, making three consecutive Sweet 16s, including reaching the Elite 8 in 2013. It won its first regular season conference title in 20 years last season and has a top-10 recruiting class coming in as well as a top-20 class in 2014. There are eight active NBA players, with ten having signed an NBA contract within the past five years. Is it the product of one good coach or a sustainable level that can weather a coaching change? Buzz Williams is a big reason Marquette’s program is where it is but even the staunchest Tom Crean basher has to recognize the former coach played an integral role in Marquettes renaissance. He helped take a middling Conference USA squad to the Final Four and used that momentum to get new practice facilities, more national interest and an invitation to the Big East. When he left Marquette was supposed to tumble with a little known assistant taking over, yet here we are, debating whether Marquette could withstand a coaching change. What is the basketball budget? While the Al McGuire isn’t new, per se, it only opened nine years ago and is still considered top of the line when it comes to basketball. It may not have the luxurious amenities of Alabama and Oregon’s facilities, but it is among the best for basketball. The Bradley Center, where Marquette plays its home games is definitely on the older side, but suits Marquette perfectly, providing a large arena with an NBA tenet. Since it is only used for home games, its age is not a big factor. What league are you in and, perhaps as important, what is your place within that league? See the diatribe at the top. Also, Marquette isn’t the most well-known team, looking at you Georgetown, but it has the most consistent results both in league-play and in the Tourney (not counting Butler who lost Brad Stevens). Georgetown is king, but when that king is known for for making princes out of paupers come March, the crown will definitely be up for the taking. Do you have a good fan base? Are they fairweather? 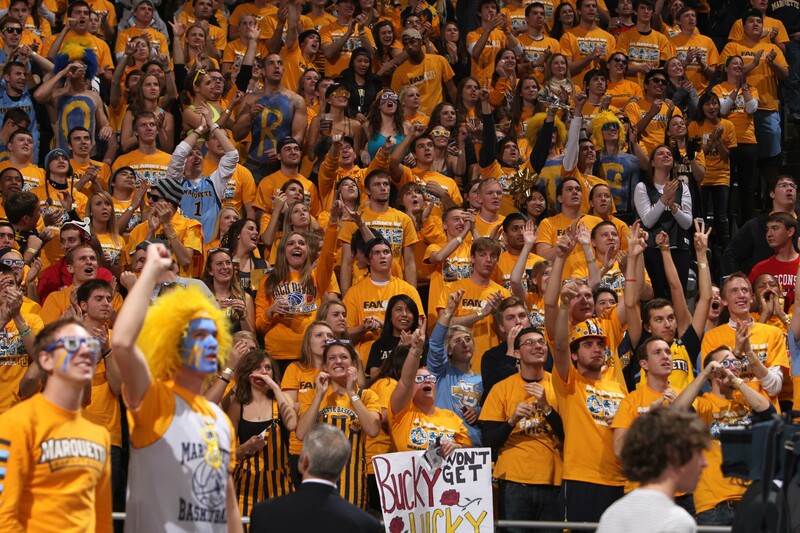 Marquette has been in the top-15 of attendance the past seven seasons, most recently averaging 15,033 fans at the Bradley Center. Nationally there isn’t the same following, but it is a household name among basketball fans. You can even argue that Marquette has anti-fairweather fans with attendance slightly dropping the past five years as results have improved. How’s your recruiting pipeline, and is that coach- or-location-related? This is a bit of a loaded question as most schools have coach-bound pipelines when it comes to recruiting. Crean left in 2008 and so did Tyshawn Taylor, Nick Williams, Scott Christopherson and Trevor Mbakwe. If Williams left I’m sure a fair number of his recruits would leave. However, back to back coaches have been consistently bringing in talent dating back to 2001, making a Buzz departure less than a death knell. As it stands, Marquette has three top-55 recruits for this season plus a JUCO all-american coming on board. 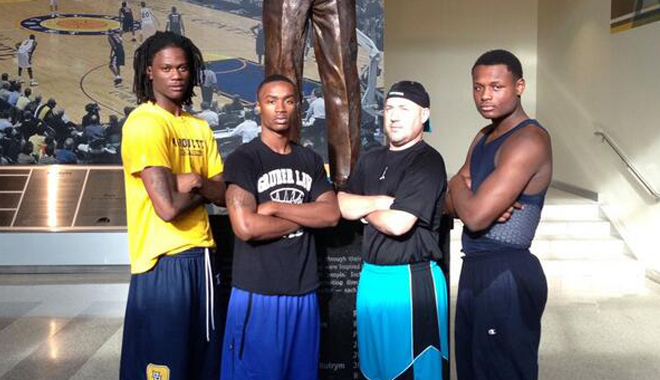 Buzz has also secured commitments from two top-100 2014 recruits and one top-40 2015 recruit. Furthermore, all three of those commits are from nearby, with two hailing from Wisconsin and one from the suburbs of Chicago. It’s tough to measure against other schools at the moment as the rest of the top-20 has yet to be revealed, but there will have to be some pretty compelling cases to beat out Marquette as it currently stands. Great stuff. Very well done!!! While many date the birthing of Warrior basketball to 1964 when Al McGuire became head coach, one ought not over-look Red Hickey. Under Hickey the Warriors had NCAA success and produced a number of great players including Don Kojis. Anyway, there was MU basketball before Al.